PEOPLE is reporting that troubled, pro baller Lamar Odom has checked himself into a drug and alcohol rehabilitation center. 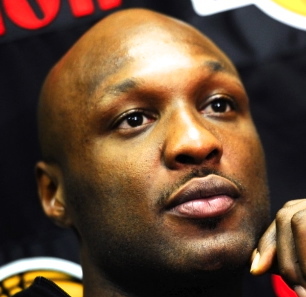 Odom, 32, is a past abuser of drugs. He violated NBA drug policies twice in eight months back in 2001, and spoke in 2003 of his marijuana use. “I just couldn’t control myself in L.A. … the lifestyle that I was living and the things I had access to,” he said then.